My son found a "Gone with the Wind" book, inside cover with signature: CJ Gable 1937. I believe it's Clark Gable's signature on one of the first books printed. Just wondering it's value? i have this book but the 1939 copy could you tell me its value email me at shae_princess_06@hotmail.com kind regards shae heaton. I have an original Gone with the wind book, it is not in great shape but I am interested in selling it. I have a first edition, third printing copy of Gone With The wind for sale. It is in OK condition. Please contact for pictures or other information. The only other items printed on the page are "all rights reserved-no part...(etc.)" and "Printed in the United states of america. I can't figure out how much it's worth. there's no book jacket but it's in excellent condition. Could you please help me? I have a Gone with the Wind book. First it has the original owners name and address with a date of 12/25/36. It has half a ticket stub pasted in it from the January 27th 1937 play in Georgia. It has a couple cut out pictures of CG and VL. A full page colored picture of VL pasted in the book,on the bottom of the picture written " Vivien Leigh as Scarlet O'Hare imprinted on it, It also has a newspaper clipping pasted in the book about Vivien Leigh winning an Oscar. The cover/binding of the book has a lot of wear but the pages are well taken care of. I was wondering what the value maybe? I have a collection of Gone With the Wind books. There are eleven books total. The oldest and most rare being a Second Edition of Gone With the Wind, Motion Picture Edition. Published in 1940. Also, two small photographs of Olivia deHavilland in her GWTW gown for sale. Please contact me at lisavhoffman@gmail.com if you are interested or need additional information. P.S. the Olivia de Havilland photos are original and signed by her. I have a Gone with the Wind book by Margaret Mitchell published in 1936 if anyone is interested. I just found at an estate sale a 1938 Macmillan Edition with dustcover that looks identical to the 1936 printing. Dustcover is frayed at edges and has one slight tear in lower corner. Pages are ing good shape but perhaps slightly yellowed with time. Can bookRide or anyone help me with an estimate of value. I have the 1936 Gone With The Wind, good condition, book cover included, not so good condition. Make me an offer. Contact at mhuston1972@yahoo.com. I have a fair gone with the wind 1936 first edition. no dust cover but could someone tell me what a fair price would be? I have my mother's June 1942edition of Gone With the Wind. The dust jacket is worn but it intact. The book and spine are in excellent condition and would like to get a fair price. The original first edition of Gone With The Wind w/o the dust jacket will fetch a much lower price. Antique book buyers covet prices of original copies together with the dust jacket that comes with it. One without a dust cover will probably fetch 20-30% less of what would have been originally offered. Perhaps even lessrer. Post editions published after May 1936 will be, if I may be harsh, quite worthless. True collectors go for only the very first editions. 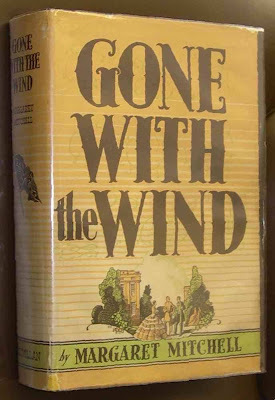 For all who may possess a copy of the first edition of Gone With The Wind, please note that it must be stated that it is published in May 1936 by Macmillan Company. The dust jacket that came together with the first edition should be transparent and should not possess any barcode or price chippings. They do not use barcodes in 1936.
i'm looking to purchase Gone with the Wind publish date May 1936 , with original dust jacket. I have a hard cover copy of Gone With the Wind. The cover is blue and it is a little worn. My dad always told me it was a first edition. It looks like it is the year is 1936 and is in roman numerals. 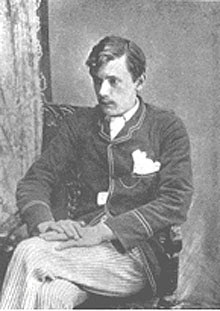 It was published by MacMillan. Although I hate to sell it cause my it was my fathers, I have come by hard times and could use the money. Would you have any idea what it would be worth or if you would be interested in it. I could send pictures. Just sold a pristine first edition for 8,000£. It was a spectacular copy. I have a June 1936 FE "Gone With The Wind". No Dust Jacket. Never been read. 41700. Contact me at jeffholladay@earthlink.net and I'll send you photos. I have a June 1936 FE "Gone With The Wind". No Dust Jacket. Never been read. $1700. Contact me at jeffholladay@earthlink.net and I'll send you photos. I have a 1936 1st edition copy of GWTW in very good condition, no dust cover with "To Mama Happy Birthday With Love from Buck & Mary Aug. 3 1937" inscribed inside. I welcome best offer. Contact me at yarddizzle@gmail.com for further info/pics of this timeless masterpiece of Southern U.S. Literature. I have a 1936 copy which is written in Roman Numerals and is printed with two columns. I can't find any information about the two column print. Is there any one who can tell me something? I have an original copy 1936 in rough shape the book's binder is broken. I have a leather bound 1936 copy. Looking to sell for the right Price. Contact muffinchic@earthlink.net for more details. I have a 1936 Gone Withe The Wind Book published in November. No Dust Jacket. The book has a little wear on the top and bottom but is in good shape. Two names written in it are Carol Anderson and Floyd. Don't know the value but if someone does please e-mail me at whitedoe123@gmail.com. Also have a first edition of The Godfather 1969. No dust Jacket and some wear on the outside of book. Would like info on this too. Thank you.